The DYE HARD 5K – It’s a RACE and a P*A*R*T*Y! Sunday, April 28, 2019, 10 a.m. Clark County Fairgrounds, 4401 S Charleston Pike, Springfield, OH 45505 CHECK OUT OUR VIDEO! 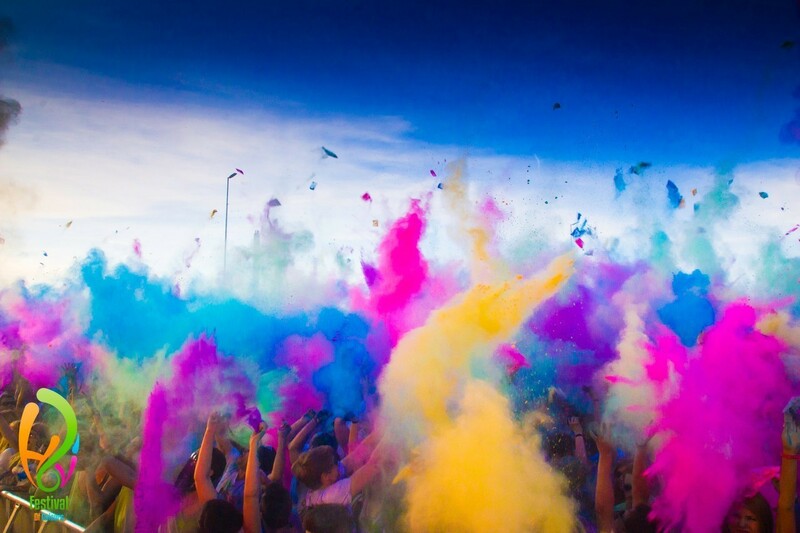 Run or walk in the most colorful 5K ever! Get showered with safe, eco-friendly, colored powder! We’ll also have extra color available so you can kick off the race with colors flying everywhere. Sign up today for fun, food trucks, music, and literally TONS of color! EARLY REGISTRATION $30, January 1-March 31, with free shirt and color packet ADVANCE REGISTRATION $35, April 1-21, with free shirt not guaranteed and color packet REGISTRATION $40, April 22-28, with free shirt not guaranteed and color packet GROUPS OF 6 OR MORE: $6 discount per person once you have at least 6 people registered together as a group (Click GROUP from menu to left to start a group) RACE DAY $40, free shirt not guaranteed, no color packet, but color will be available for sale Kids 10 and under are FREE but get no shirt, swag bag, or timing bib (Parent has the option to purchase these during registration at regular registration price.) ONLINE REGISTRATION CLOSES NOON APRIL 25. Proceeds benefit the Developmental Disabilities Endowment Fund of the Springfield Foundation, a 501c3 organization. No pets or wheels other than strollers and wheelchairs. EXTRA COLOR Extra Color Packets for sale at packet pick up and race day, $3 each, 2 for $5, 5 for $10. TIMING Chip timing provided by FinishTiming, featuring a live onsite scoreboard, clock and camera system. Results posted at finishtiming.com. Plaques awarded for top 3 males/females overall, and medals for top male/female finishers in the following age categories: 14 and under, 15-19, 20-29, 30-39, 40-49, 50-59, 60-69, 70 and over. PACKET PICK-UP Friday, April 26, 8 a.m. – 6 p.m. at Self-Reliance, 1822 N Limestone St, Springfield, OH 45503. Yes you may pick up a friend or family member’s packet. Race day packet pick-up starts at 8:30 a.m. PARKING Free race day parking will be at the Fairgrounds. Spectators are welcome. RACE DAY SCHEDULE OF EVENTS 8:30 a.m. Registration/Packet Pick Up opens / Extra Color Packets for sale, $3 each, 2 for $5, 5 for $10 / DJ starts the PARTY!! 9:30 a.m. Registration to be timed ends 9:55 Registration/packet pick up closes 9:55 a.m. Starting line color throw 10 a.m. Gun start 11 a.m. Award ceremony at DJ booth PHOTOGRAPHY Event photos will be available on our Facebook page for free downloads after the race. ROUTE This route is grassy, with a few rolling hills around the lake. Additional race information can be found at http://devdisclarkco.wix.com/dyehard5k.